Few who played the original Mortal Kombat will ever forget Liu Kang’s dreaded “gobblg gobble” kick (not its real name), and thankfully that move will return with the character later this Spring, in the upcoming Mortal Kombat title. Part reboot, part alternative-history sequel, the new Mortal Kombat features a return of the most popular characters form the series’ history, and returns the franchise to its original, ultraviolent roots, where blood and destruction are all par for the course. The story begins when Raiden is at the mercy of Shao Kahn. With his last ounce of strength, the present day Raiden warns his past self of what is to come, and in doing so allows the receiving Raiden to help alter events to avoid the cataclysmic future where he and Earth are both doomed. In doing so, he negates the events that have happened, including the original victory of Liu Kang, but he also gives the planet a chance. 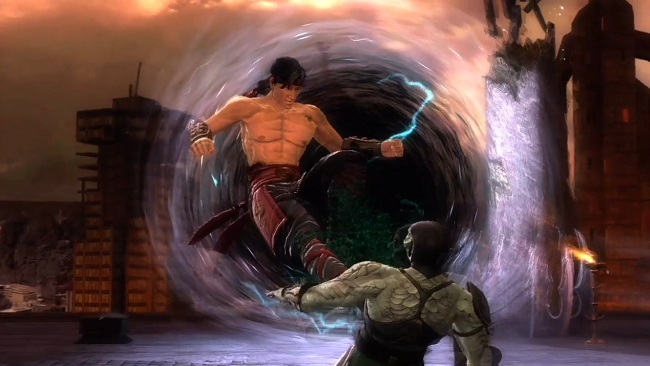 Check out the video below featuring Liu Kang, and look for Mortal Kombat on PS3 and Xbox 360 on April 19.